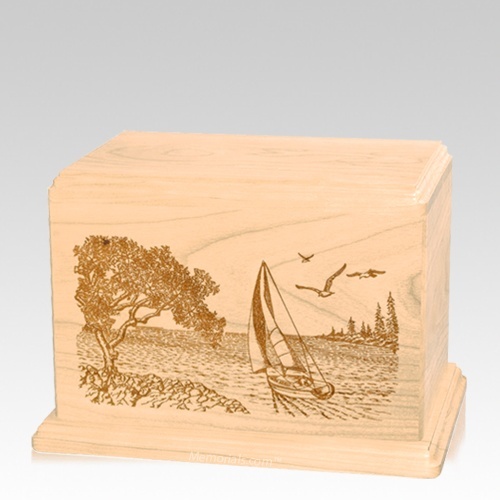 The Sail Away Maple Wood Cremation Urn in the individual size is a finely crafted piece featuring a realistic, high-detail nature scene expertly laser carved into the wood surface. It is master-crafted in the United States by one of the most talented woodworkers in the nation. This urn will be a beautiful family heirloom for many generations to come.